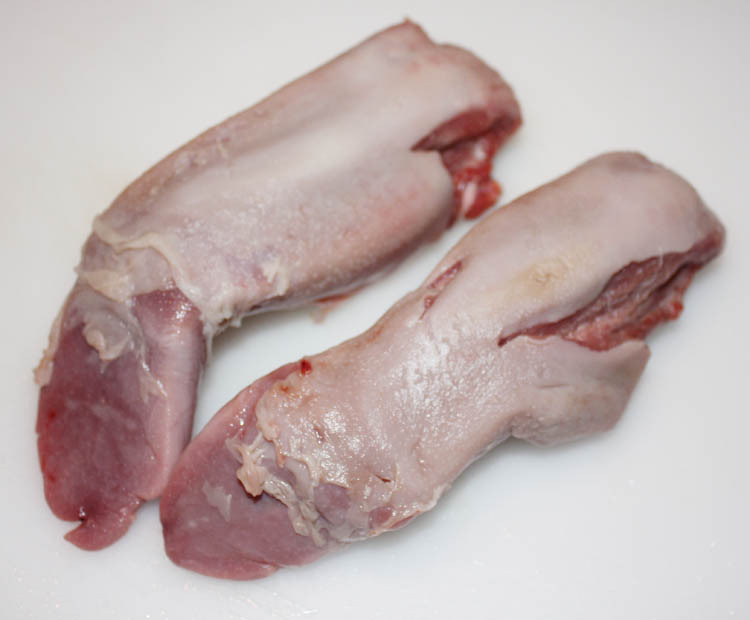 On a visit to an Asian butcher in Brisbane I scored a couple of pigs tongues. I like beef tongue so I was keen to try pork tongue. 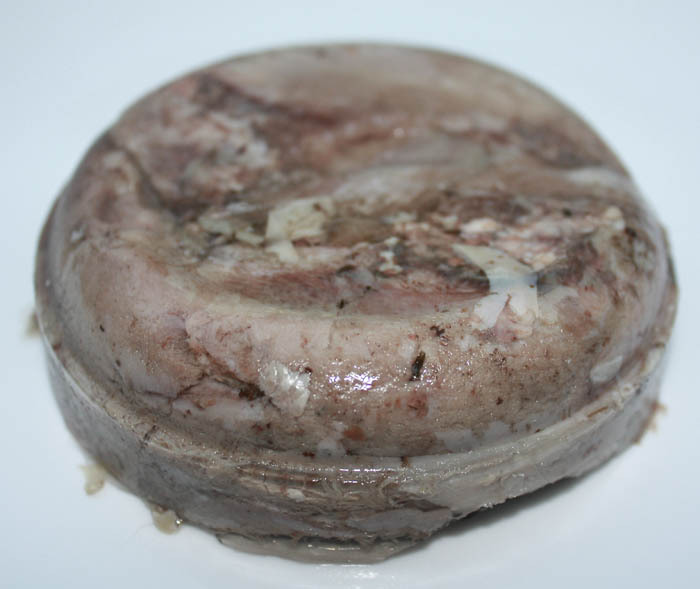 A bit of research told me that pigs tongues are usually eaten in braun with other parts of the head, but I decided to cook and press the tongues just as I did with the beef tongue I have previously written about. I treated the pigs tongue just the same, but without soaking it overnight. The pigs tongues are considerably smaller than beef tongues, actually about the size of human tongues which is a little disconcerting when handling them. Because of the smaller size they obviously cooked quicker, and were easily pierced by a knife after 3 hours on high in a slow cooker. 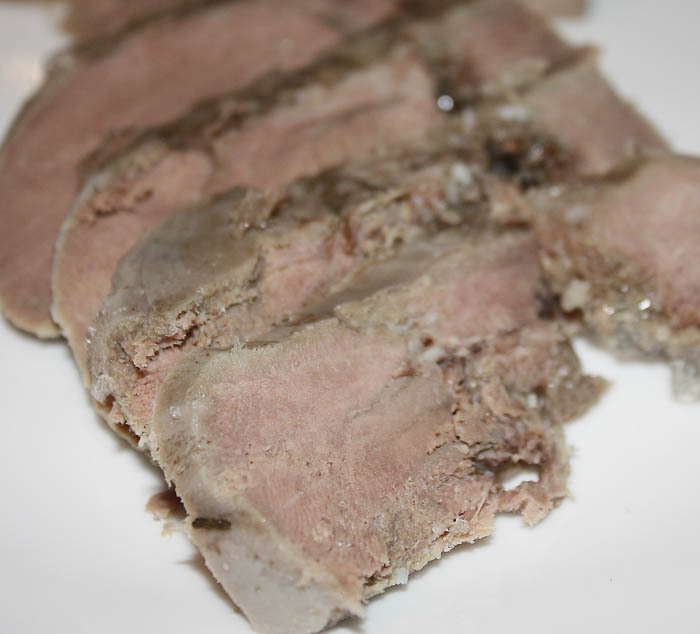 I then peeled the tongues, which was much harder than with beef as the skin is much thinner, and placed then into my homemade tongue press and put in the fridge overnight. When turned out the next day they looked good enough to eat! Sliced and eaten cold with a salad, the tongues were absolutely delicious, with the beautiful taste of pork, but the very tenderest pork I’ve eaten. Definately something to cook over and over again.